Distance: 4.8 km. Duration: 1.5 to 2 hours. Grade: Easy to Moderate. 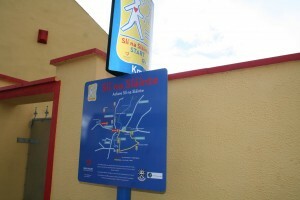 The Sligo Way is a 74 km route that traverses the County of Sligo in the northwest of Ireland from Lough Talt, in the Ox Mountains near the Mayo border, to the town of Dromahair in County Leitrim. There are magnificent views east over to Ben Bulben, north across Donegal Bay to Slieve League and west to the Nephin mountain range from the high moorland in the Ox Mountains during the early part of the route, and some pleasant woodland lakeside sections towards the end. As the route begins in the mountains, the total aggregate ascent over the entire route is only 900 metres, and there are no significant climbs involved at any stage. Attractions along the way include a crannog or early lake dwelling on Lough Talt, megalithic tombs, which are abundant in west Sligo, and WB Yeats’s Lake Isle of Inishfree on Lough Gill. 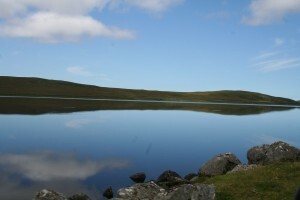 But for short boggy and wet sections near Easky Lough, Ballygawley Woods, Lough Lumman and the Lough Gill area, the route provides, in the main, an enjoyable and comfortable walking experience. Terrain consists mainly of forest tracks and ride lines, quiet side roads, and open moorland paths (often wet and boggy in places). Distance: 74 km. Duration: 3 days in total. Grade: Difficult. Essentials: Walking/Hiking Boots, Walking Stick, Raingear, Food & Fluids and Mobile Phone. Distance: 6 km. Duration: 1.5 to 2 hours. Grade: Moderate. The ﬁrst section of this walk is along a lake shore track with the return journey along a busy road. For this reason families with young children may prefer to make their return back along the same track. 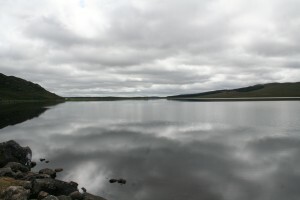 During the year of the French (1798), General Humbert marched his army through the Lough Talt valley on the way from Bonniconlon. A French soldier perished and was buried by the local people of Gorterslin, (French Mans Grave), a plaque was erected in April 2012 to commemorate the fallen french soldier. 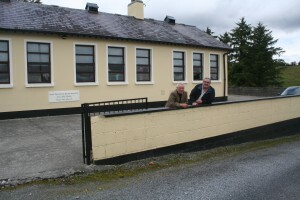 The Trail head official start point is located at the parish church in Attymachugh , Foxford, Co. Mayo. The Western slopes of the Ox mountains are home to a herd of “Feral” goats, the descendants of domestic goats run wild. For much of the year the “?Billy goats, with their fine horns, live in groups separate from their females (Nannies) and their Kids which are born in early spring. The goats are the focus of the annual goat fair held each year in Foxford on the 15th May and at Curry Goat Fair on the August Bank Holiday Monday. 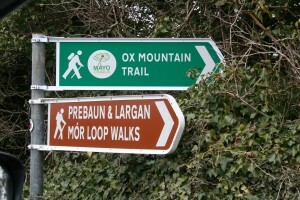 Walkers are to expect Country lanes, bog tracks and hillside, taking in sections of the Foxford Way. Distance: 10 km Duration: 2 to 3.5 hours. Essentials: Study Walking/Trekking Boots, Waterproofs, Refreshments & Fluids, Mobile Phone. 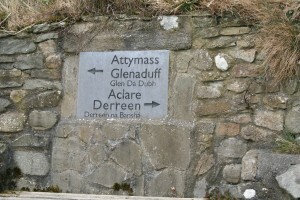 The trailhead official start point is located at a small parking area at the top of Roskey Hill in the townland of Glenduff, (OS Sheet 31, G305 092). The Trail is waymarked using a black post about 1 metre high, with a direction travel arrow (Purple). 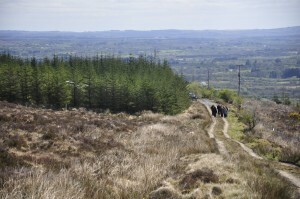 Walkers expect surface roads, country lanes and bog / mountain tracks. Distance: 14 km Duration: 4 to 4.5 hours Grade: Moderate to Hard. Essentials: Sturdy Walking/Trekking Boots, Waterproofs, Refreshments & Fluids, Mobile Phone. Please adhere to this code when walking and enjoying the great outdoors. 3. Leave what you find 7. Respect Wildlife and Farm Stock.